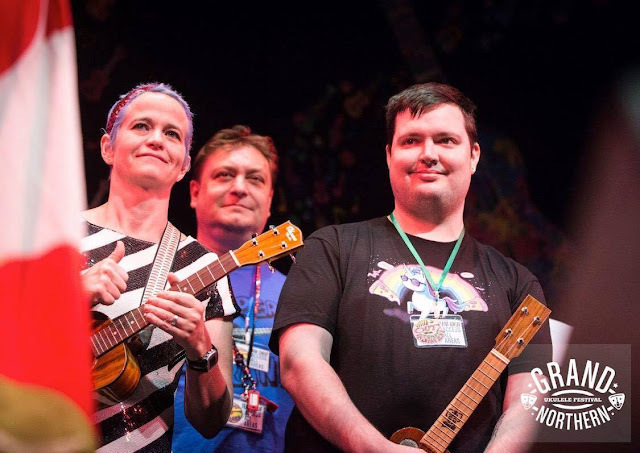 Many of you in ukulele land will have seen this news by now, but in case you hadn't I wanted to get it noted down on the blog for posterity. 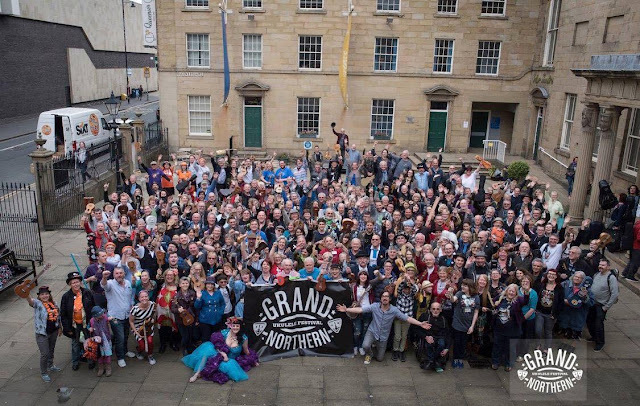 The Grand Northern Ukulele Festival has recently been awarded the highest award a voluntary organisation can receive in the UK. 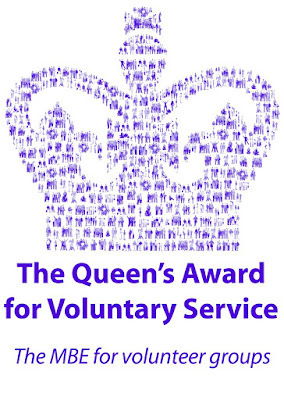 The Queen's Award for Voluntary Service. 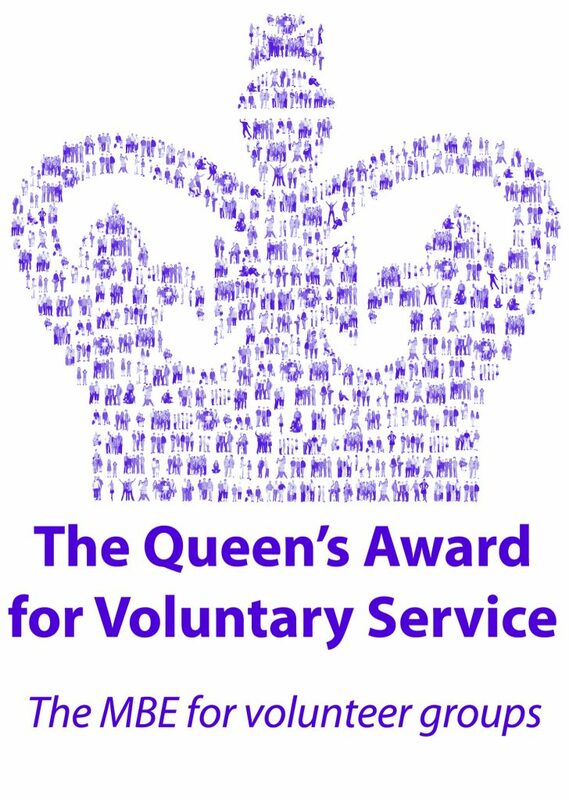 This is essentially the equivalent of an MBE but one that is awarded to groups that undertake voluntary, charitable or social work in the UK. And I think that highlights a couple of very important things about GNUF, one you may know and one you may not. Firstly it's obviously a huge credit to the organising team for the massive amount of work they put in each year the festival runs. Having spent time behind the scenes on previous events I can assure you this is NOT a walk in the park and is the culmination of a full years work from many people to successfully pull it off. The second point though is the 'voluntary' angle. You see, GNUF is run as a not for profit event, and that means the team that set it up are indeed volunteers. This is not a festival that is run to be a money spinner. They do it for the love of the festival, of the ukulele and for the many people who visit and take enjoyment from it. And that's many people who get that enjoyment.. 353 artists, 1,700 participants, and over 4,000 people who have attended so far. That's pretty impressive. So on behalf of Got A Ukulele, I want to say a massive well done to my friends on the organising team and all those who contribute in other ways and say that this is hugely deserved by all! 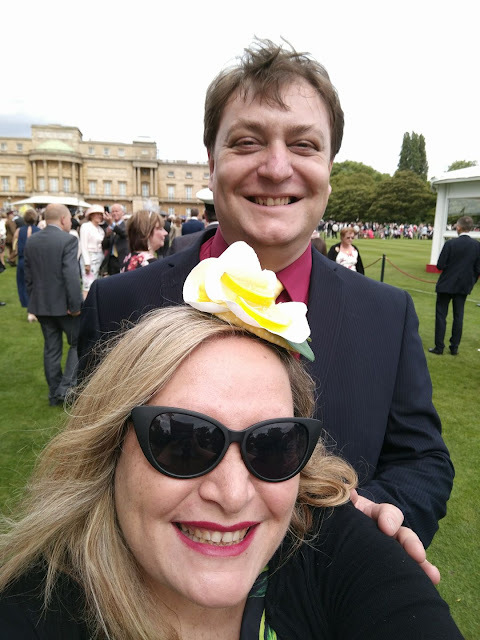 And take a look below at two of the festival organisers Mary Agnes Krell and Rob Collins at the Buckingham Palace Garden Party recently at which GNUF and other award winners attended as part of the 2017 awards.